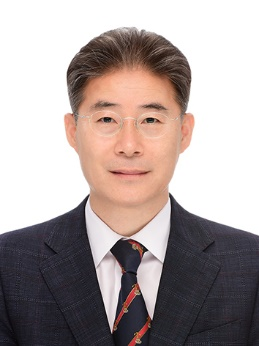 It is a great honor to extend a warm invitation to the 12th conference of the Aseanian Membrane Society (AMS 12) hosted by the Membrane Society of Korea (MSK) to be held in Jeju, Korea on July 2 – 5, 2019. AMS 12 is one of the most important conferences that bring our members together from around the world to share professional experiences, expand our professional networks, and receive updates on the latest advances in the field of membrane sciences and technology. The AMS conferences are organized every year in rotation with the member countries, except during the years of the International Congress on Membranes and Membrane Processes (ICOM). Following the success of the 11th AMS conference in Australia in 2018, we hope to bring you another exciting conference in Korea in 2019. AMS 12 will prepare diverse programs, including plenary sessions, Invited, oral, and poster sessions, exhibitions, and social events. We are ready to reach out and listen to various and valuable voices from professionals and industry colleagues globally and are willing to reflect their wishes into the program, serving as a bridge between them and beyond. The venue of this AMS is Jeju, a beautiful volcanic resort island. Each year more than 6.5 million people visit Jeju to enjoy its exotic natural beauty, local culture, and various leisure activities. As general co-chairs of AMS 12, we are certain that AMS 12 will be a memorable experience for you both on personal and professional grounds. Your participation will make the conference more valuable and successful. We believe that this conference will surely serve as one of the most rewarding and memorable meetings for all of us. All the members of the organizing committee are looking forward to meeting you Jeju, Korea.